This reel has a heavily ported spool and frame which makes it a lightweight, easily portable option for your fishing trip. The spool has a decent fit with no sharp edges or rubbing. Beginner anglers and veterans alike must remember that if the line is not properly spooled onto the reel, your fly fishing experience will not be as successful. This Croch reel is a practical purchase with a balance between lightweight and cold- forged which makes it quite strong. With its 100 ft. floating flying line, catching river run salmon or trout can be accomplished with this reel. Also, the 9 ft. fly fishing leader allows you to go after larger fish. It can withhold through the most rifled water and can hold its own in saltwater. It is best for the novice fly anglers that plan on using their fly fishing reels in a variety of environments. The Croch reel may be the highest quality fly reel for the money however it does serve its purpose for fly fishing up to medium-sized fish. The spring and pawl drag system is great for light tackle and tippets. For beginner anglers, not placing too much strain on the wrong size line is important. The Croch fly fishing reel’s stainless steel drag system will allow for serious pressure to be placed on your catch. With an oversized cork drag, it improves the range and will give you some dependability. In addition to the cork, the one-way clutch bearing makes for an overall smooth and solid reel. It’s not just the one-way clutch bearing making the Croch reel so smooth either. 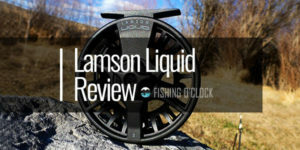 This reel is easily adjustable which many anglers starting out will find better to maneuver through both saltwater and freshwater. Keeping in mind, the Croch fly fishing reel can normally be found for under $50, depending on the vendor. If fly fishing is something you are just beginning, you can definitely start with this fly fishing reel with its mid-arbor design. Similar to the higher priced reels, the mid-arbor design allows for a quick, easy retrieve. Not only does the Croch have a higher line retrieval rate, but it is also corrosion resistant. The high-grade aluminum construction provides a protected surface. This makes it not only an affordable fly reel that can now go in both freshwater and saltwater. Purchasing a lower priced reel may leave room for doubt regarding its overall performance. The Croch fly fishing reel has a few downfalls that may or may not be deal breakers. While it is corrosion resistant, you should be mindful when bringing out this reel for any saltwater fishing. It may not hold up as well as a CNC machined reel since it appears to be casting made. A way to help prevent any rust would be to take additional care after each use. Rinsing the reel with freshwater would help with rusting. Proper maintenance is a must for the Croch reel because the drag adjustment can lock up in saltwater. What has been experienced by a few fly fishing anglers was that the drag may not be consistent. There needed to be some reel oil added to receive a more smooth drag. 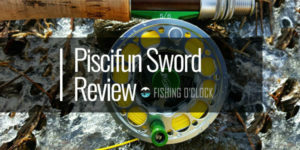 Giving the fact that the initial cost is relatively low, having to add reel oil may not be a huge deal breaker when considering the Croch fly fishing reel. It has been noted in more than a few reviews on how rub occurs between the frame and spool. Along the guide, when the reel rotates then the reel rubs. The last con to mention for this fly fishing reel would be that it comes with a factory made right-hand retrieval. Normally, most reels allow the anglers to cast with their right hand and reel with their left. The Croch is on a more rare side since it comes with the left-hand retrieval. The upside is that switching the retrieval from right to left hand is relatively easy. When switching the retrieve, it is suggested to take the line off and re-spool it back on. If you skip this detail, the line may come off backward which gets you the free spool action that is never desired. The retrieval is more of a personal preference, however, being able to easily switch from either right to left will always be positive. 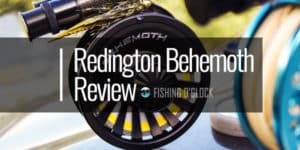 Searching for a reel to catch that medium to large size fish can be overwhelming. With so many options at different price points, it is hard to determine which is best for your money. 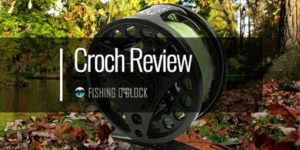 The Croch fly fishing reel is a simple reel that seems to be perfect for the beginner fly anglers. 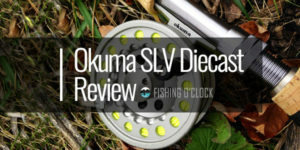 With its lightweight feel, this reel is a practical investment. It offers a high-quality performance along with less line stacking and higher retrieval rates. The Croch fly fishing reel does have the higher line retrieval rate and is extremely strong. 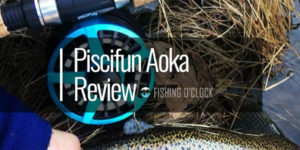 Overall, the Croch Fly Fishing Reel can last for several seasons depending on the maintenance and the strain placed on it from your fly fishing trips.